Rhys Millen and Team RMR set NEW World Record at the 2012 Pikes Peak International Hill Climb. Nothing can describe what it takes to conquer Americas Mountain. After a week of little air to breath, early mornings and a Hyundai that did not skip a beat, Rhys Millen and team RMR sets a new world record with a time of 9:46.164 at the 90th running of the Pikes Peak International Hill Climb in Colorado Springs, Colorado. “With the newly paved section of the course and the hot weather conditions, a lot of people failed or crashed. Our cars balance remained the same from practice to race day using these Hankook F200 Tires this entire run. 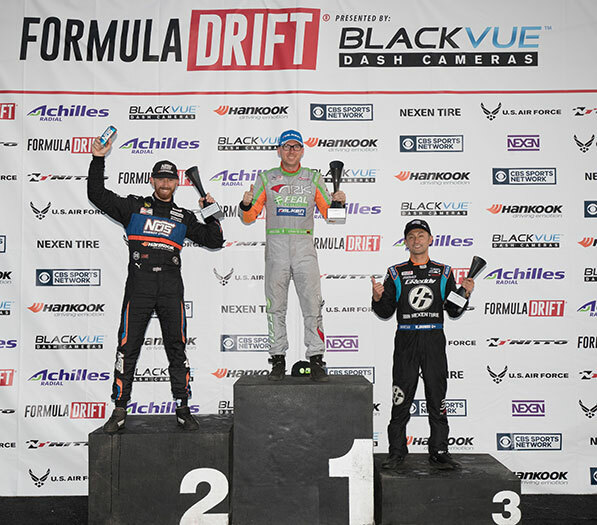 Even on a slick tire and torrential downpour in the last mile and a half, with the heat we were able to achieve in the tires the grip was still adequate and we were able to produce a new world record,” said Rhys Millen after Sundays victory from the summit. 2010 Le Mans Champion Romain Dumas and his Porsche 997 GT3-R was Millens closest competition with Dumas completing the course in 9:46.181.This marks a back to back victory over Porsche factory supported drivers for RMR in the Hyundai Genesis Coupe. Rhys Millen Racing would like to thank everyone at Pulse for their endless support at this year’s climb, Hankook Tires for all the grip, Hyundai for a world class vehicle, Garret Turbo for support on the hill and all the world class sponsors that make for a record setting year. Rhys Millen looks towards the 2013 91st running as a free agent to the climb.